Looking for Oversized Markerboards? Need a large custom size? See our multi-section oversized markboards custom built to your specs. Get an oversize whiteboard that works for your classroom by ordering the El Grande porcelain steel markerboard from DryEraseBoard.com. 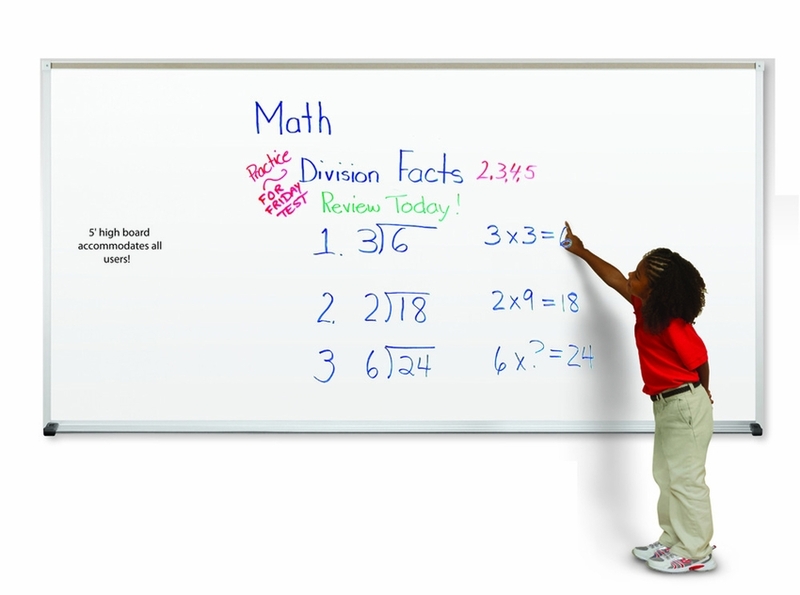 This markerboard meets ADA guidelines, making it a great choice for classrooms for all ages. At five feet tall, this is one of the largest dry erase boards we offer. It’s available in four widths that range from 8 to 16 feet. You’ll be able to get the perfect size for your classroom when you order this large dry erase board online. The tall height means you get a lot more space for writing and drawing. The magnetic surface is also great for displaying assignments, classroom rules and other important information. Plus, it has all the features of a deluxe whiteboard that make it a smart investment for your school. The El Grande porcelain steel markerboard from DryEraseBoard.com comes with everything you need for proper installation, including L-clips, screws and rawl plugs. It’s laminated to ½ inch thick medium density fiberboard (MDF) for added stability and durability. Each one of the El Grande boards is factory framed in anodized aluminum which holds up well in even heavy use environments. The set also comes with a full-length map rail and an accessory tray with Dura-Safe corners to protect little ones from injuries. Best of all, the surface leaves nothing to be desired. El Grande boards feature a high-quality dry erase surface that has excellent color contrast and reduced surface light distortion and glare for optimum visibility. Order the five-foot-tall El Grande porcelain steel markerboard from DryEraseBoard.com today. We’re here to answer any of your questions about this exciting product and to make sure you get the right whiteboard to meet your unique needs. * Or the life of the building into which it was originally installed, whichever is less. 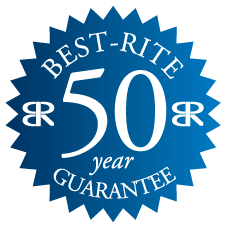 These products are all in compliance with the requirements set forth in the Trade Agreements Act and are eligible for addition to GSA contracts.